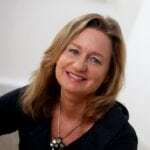 Julia has over three decades experience in public relations consultancy supporting many organisations. She started as a graduate in communication studies with a regional consultancy and was on the board by the age of 25, then became deputy Managing Director before establishing WPR Agency in 1992. WPR is one of the leading communications, digital and creative agencies in the UK, winning over 74 awards in the last 5 years. Julia has been nominated for PR Week’s Power Book for the last three years, is a Fellow of the CIPR, and has been accredited for various business awards. Julia mentors young entrepreneurs through the E-sparks programme, mentors young people, and provides advice to a teenage charity.